Not My Job: We Quiz Comedian Aidy Bryant On '80s Brians Back in the 1980s, there were a lot of Brians, so we'll ask the SNL star three questions — about musician Brian Eno, director Brian De Palma, and Brian Johnson of AC/DC — and see how she does. 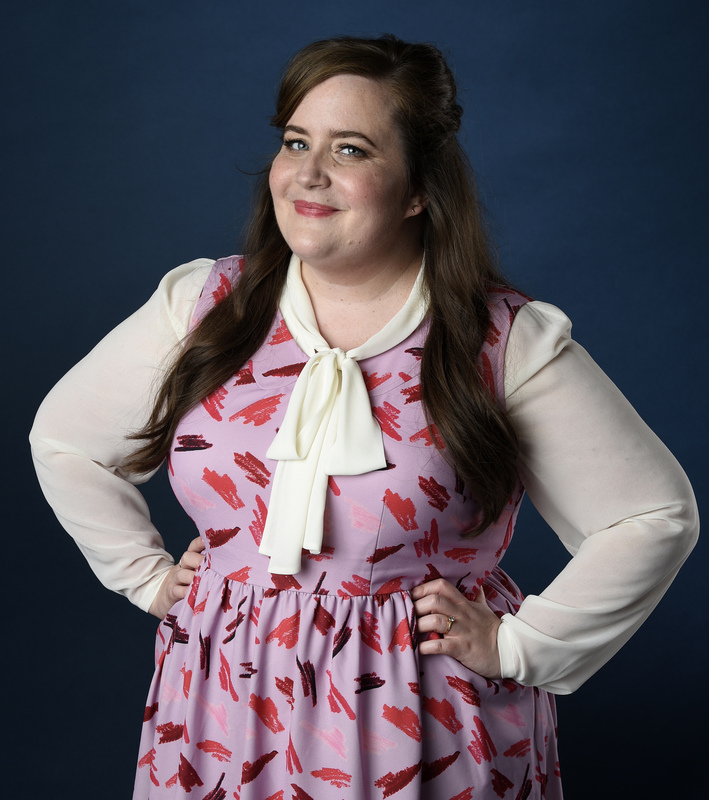 Aidy Bryant may be too young to remember, but back in the 1980s, there were a lot of Brians. So we'll ask her three questions — about musician Brian Eno, director Brian De Palma and Brian Johnson of AC/DC — and see how she does. Bryant got her start doing sketch comedy at The Second City and iO in Chicago, and then headed to New York for Saturday Night Live. She now stars in the Hulu comedy Shrill. And now the game where people go a long way just to come home in triumph and secretly count the seconds until they can go away again. It's called Not My Job. Like a lot of stars of comedy, Aidy Bryant got her start doing sketch comedy in Chicago at Second City and iO and many other places. Then she went off to New York in "Saturday Night Live," where she's been in the cast for the last seven seasons. And now she stars in her own TV show, "Shrill," on Hulu. It is a pleasure to welcome Aidy Bryant back home to Chicago and to WAIT WAIT... DON'T TELL ME. Aidy Bryant. AIDY BRYANT: Oh (laughter). Thank you (laughter). SAGAL: So is it true to say, like a lot of very funny people, you've always been funny? You were, like, class clown, a young comedian? BRYANT: I'm the - I was always trying to be funny. SAGAL: You were doing comedy, like, as an improv when you were growing up in Phoenix, right? BRYANT: ...You want to see (laughter). MO ROCCA: Can I ask? What was the name of your improv group in Phoenix? BRYANT: Oh, my. I've been in so many dumb improv teams I can't even - Drop-In Science (ph), Hunter Family Crest, Virgin Daiquiri - what else? BRYANT: OK. Baby Wants Candy. BRYANT: I mean, I used to sit in with Carl and the Passions sometimes. I mean, I've done my time. SAGAL: Did you come to Chicago specifically to do sketch comedy? BRYANT: Yeah. Yeah. I knew about Second City and iO, and I wanted to get involved. SAGAL: And you did, which is kind of amazing. SAGAL: Right. I mean, because a lot of people come to Chicago to try to make it on the main stage in Second City, and they never do. And you did. BRYANT: Oh, my goodness. Is this my birthday? SAGAL: It's, like, welcome to the show we're calling Wait Wait... You're Actually All Right. ROCCA: ...Today, you were right there. ROCCA: She's on the cover of Michigan Avenue Magazine. BRYANT: Well, I always wait for men in their hotel rooms. BRYANT: I think that's cool in a #MeToo era, you know? ROCCA: Come on. First, she's in hotel rooms, now she's working the streets. SAGAL: The streets - I know. ADAM BURKE: She wasn't busking as a - she was walking down, going, hey, can I get a suggestion? SAGAL: Just standing in the corner of Michigan and Randolph going, somebody, name and occupation. SAGAL: So you went off to New York, like a lot of Chicago comedians do. And you auditioned for "Saturday Night Live" - ditto. But you got cast, which is rarer. People talk about the "Saturday Night Live" audition - that you have to come in with a character. SAGAL: Did you do that? BRYANT: I did, yeah. They told us, you know, five minutes, a couple original characters, a couple impressions. So that's kind of what I did. SAGAL: Yeah. And can you tell us what you did? BRYANT: I did Adele, and I did Ethel Merman, which was very topical. ROCCA: Wait - I'm not going to ask you to do it, but what did you do for your Ethel Merman? BRYANT: I said, this is Ethel Merman on the TV show "My Dog Ate What?" BRYANT: And then I sort of screamed in an Ethel Merman voice, like, my dog ate what? And that was what got me to "Saturday Night Live." ROCCA: That gives me so much more - even more respect for the show. I love that. SAGAL: I understand you recently got married. SAGAL: I hope you didn't make the mistake of marrying another comedian. SAGAL: Yeah. How'd that work out, though? BRYANT: It's going real bad. SAGAL: Oh, I'm so sorry. BRYANT: I don't know how it's going to go. SAGAL: Oh, I'm so sorry. Did he propose in a funny way? BRYANT: I mean, kind of in that, like, he proposed in our home, which I had sort of said, like, I want that. You know, I want to keep it private and in our house. BRYANT: I would be, like, I can't handle that, FYI (laughter). SAGAL: Yeah. Make a note here. BRYANT: And so I kind of came home from work and opened the door. And then just like a true bat out of hell, like, from the back of our bedroom, he came around, was, like, will you marry me? BRYANT: And I was like, whoa, baby. SAGAL: He just rushed you? SAGAL: Did he think, like, if it was a surprise, and you were flustered, you wouldn't say no? BRYANT: No. I think he knew that he had a very short time between me entering the door and walking even 10 steps before my bra and anything would come off. And he wanted to catch me fully dressed and dignified. SAGAL: I think that's very thoughtful. BRYANT: Yeah, it's actually sweet. BRYANT: It's, to me, the most romantic thing in the world (laughter). SAGAL: Yeah. Well, that's great. I'm so glad for everything that's happening for you. CHIOKE I'ANSON: Aidy Bryant, meet the '80s Brians. SAGAL: You're too young to remember, but way back when, we had a decade called the '80s, and it was filled with wondrous and amazing people, all of whom were named Brian. We're going to ask you three questions about '80s Brians. Get two right, you'll win our prize for one of our listeners. ROCCA: Wait. Can I ask one thing beforehand? ROCCA: Not to put you on the spot, but could you give at least one of the answers in the Ethel Merman voice? ROCCA: Be like your husband - like, just come right at us. SAGAL: Chioke, who is Aidy Bryant playing for? I'ANSON: Dan Martin of Boston, Mass. SAGAL: ...Or the music and lyrics for a Hoover vacuum jingle? BRYANT: I mean, this is bad. SAGAL: Oh, yes. It's terrible. SAGAL: You're going to go for the Hoover vacuum jingle. BURKE: That can't B right. BURKE: Can't B - can't imagine that could B the answer. BRYANT: Well, OK. I - guess what? (Imitating Ethel Merman) B.
SAGAL: You're right. Ethel is right. You're right. You're all right. SAGAL: I know. He - Brian Eno was paid $30,000 to write the sound that the Windows 95 started when you turned it on. SAGAL: ...B, he put the deleted scenes back in because he figured no one would notice; or C, he sang the vocals in a Hoover vacuum jingle? BRYANT: I mean, I'm realizing I don't like games. BRYANT: ...Because I think it's the most fun. SAGAL: He did the giant mound of - no, I'm afraid it was actually B. He just put all the cut scenes back in the movie. BRYANT: I'm failing our friend in Boston. ROCCA: But she got it wrong because she didn't use the Ethel Merman voice. SAGAL: That may be a lesson. SAGAL: ...Or C, he was singing the vocals in a Hoover vacuum jingle. BRYANT: I mean, if it's not C, I've got to be blasted to the moon. SAGAL: So you're going to go with C.
BRYANT: (Imitating Ethel Merman) Yes. SAGAL: Then yes, it was, in fact, C.
SAGAL: Literally the day he successfully auditioned to be the lead singer of AC/DC, Brian Johnson went to a commercial studio, and he recorded this jingle for Hoover vacuums. BRIAN JOHNSON: (Singing) Right to the edge. Changing a bag is easy as ABC. When you have Power Compact from Hoover, it's a beautiful mover. BRYANT: I legit liked that as a song. SAGAL: And here's the lead singer from AC/DC doing a vacuum commercial. SAGAL: Yeah. Chioke, how did Aidy Bryant do on our quiz? I'ANSON: Aidy is very funny. And she got two out of three right, making her a winner. BRYANT: Thank you. Thank you. 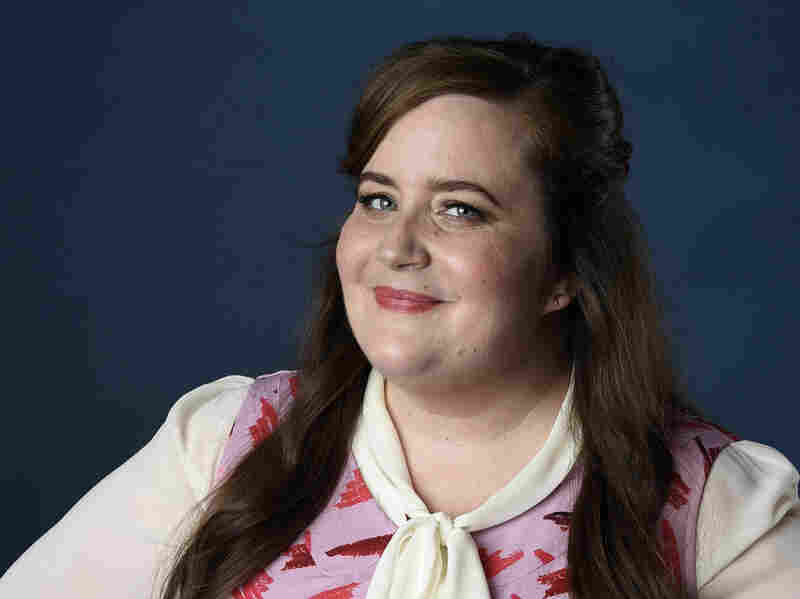 SAGAL: Aidy Bryant is the star of "Shrill" on Hulu. You can also see her on Saturday Night Live. Aidy Bryant, thank you so much for being with us. SAGAL: What a pleasure to meet you. SAGAL: In just a minute, Chioke shows us his fancy new pants in the Listener Limerick Challenge. Call 1-888-WAITWAIT to join us on the air. 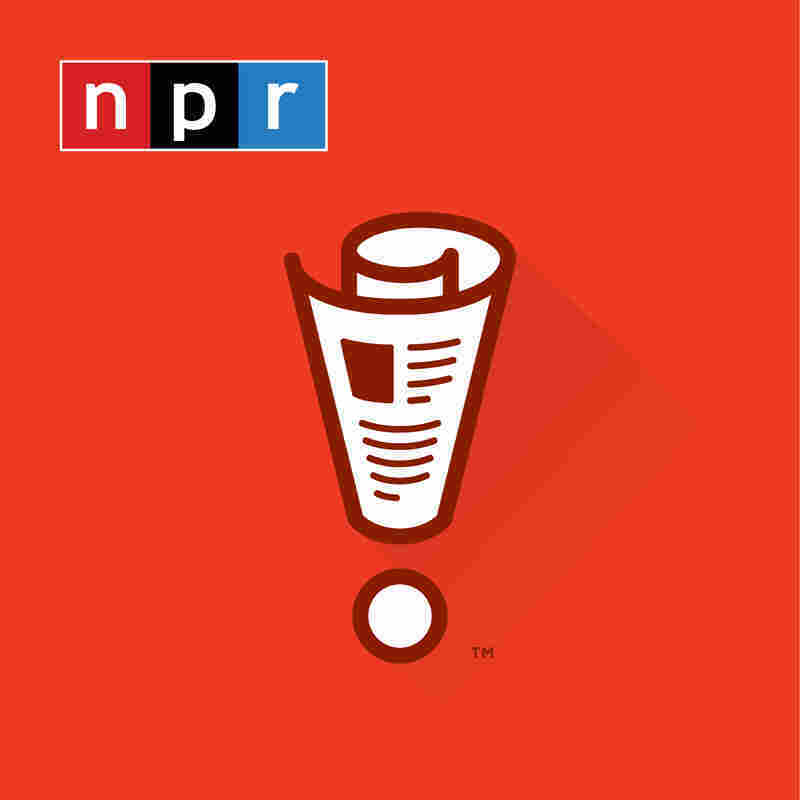 We'll be back in a minute with more of WAIT WAIT... DON'T TELL ME from NPR.